Blue Coast excels at Savings Consulting. Over the last fifteen years, we have helped save thousands of business owners millions of dollars! The money we have saved businesses helped bolster their financial situations, preserve jobs, and not have to lay off workers; and boosted stronger companies to use their savings to expand their operations and hire more workers. 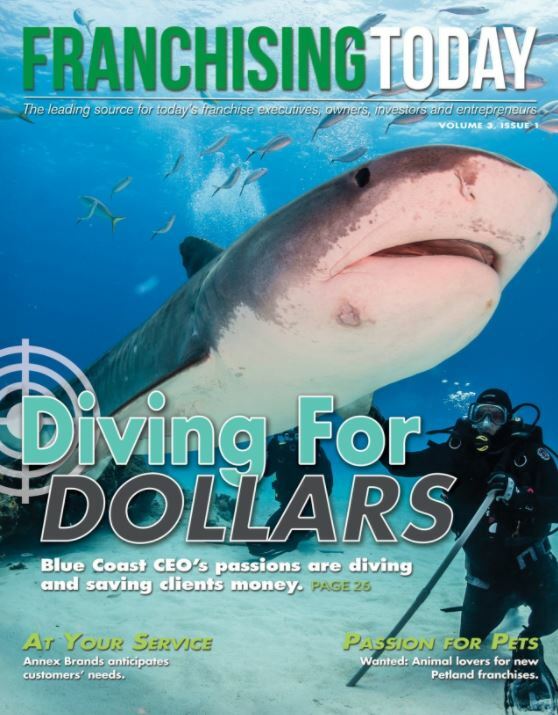 Blue Coast has become the most trusted national organization in business savings consulting, and the most unique business model in the country. Companies engage us to save them money, with a performance guarantee, which cannot be beat. We either find them savings or there is no fee! This true value proposition is all reward and no risk to the business owner, which makes it easy for our advisors to engage more business clients than anyone else. Companies can increase profits two ways, increase revenues or decrease expenses. Our focus is on decreasing expenses. The best part is that business expenses will never disappear and we will always be here to find them savings. We have created a unique process that has made this not only easier for you as a Blue Coast advisor, but also for your clients to realize savings in multiple areas. You will be working together with a team of Blue Coast support national account managers who will help present and implement cost-savings services and programs for businesses of all types and sizes. The result is substantial cost savings for your client and income that can pay you up front and residuals for years. Blue Coast finds client savings without switching their vendors or business relationships; we are totally performance driven which is great for you but even better for your client. You earn money when we return money back into your client’s pockets, a true “win-win”. While companies are focused on running their businesses we focus on improving their bottom line, increasing their profitability using our team of experts. Some of our Blue Coast advisors were formerly in companies where they oversaw budgets and these expenses, which is why they found Blue Coast so compelling. Suppliers and vendors often overcharge business owners with no one monitoring their accuracy, until now. In some areas of savings a typical vendor’s overcharging is so egregious that we find errors almost 100% of the time. Of course the best part is the client is only billed on realized savings results. Consider this: is it easier selling a product or service or offering savings to all size companies in the country? Savings is smart! It is the best way to get in a door to any business in America. No matter what the economy does business expenses will never disappear, and we will always be here to find savings for companies. We either find savings or there is no fee to the client. There is no business model that compares. You can work full or part time, you have the ultimate flexibility and set your own schedule. Many professionals have personal reasons or limitations, which require flexibility which being a Blue Coast advisor provides. We have advisors that have other concurrent careers we are one of the few businesses that is designed to work around your day job. No need to become an expert in all of our services and processes, our proprietary advanced app presents the services for you. You can run your consulting business from your tablet or smart phone from anywhere in the country. The Blue Coast team of experts provides excellent support for you so have no need for employees. Very low cost to operate; many advisors are home-based which further minimizes overhead. A complete and total marketing package, with technology and teams of people available to promote your business so you don’t have to cold call or design marketing of your own. National account managers help you obtain client engagements, handle the technical details, and help get additional services presented to your clients. Many of our services provide advisors residual income, which continues monthly for years. Leverage our unique services with a custom built platform designed for advisors who want to build out a sales team. Blue Coast will train, support, and even handle your team’s earnings pay-out so you are not burdened with any of the usual time consuming or expense generating activities. This is included and available for all advisors. We are the best shortcut to start your own consulting business. If you are looking to transition from a current job we are the best option as we are designed to work alongside your current day job; as your income grows you transition into your new career. The best part about team consulting is you build the relationship and then our national account managers handle the technical side, helping obtain additional savings opportunities for your client. Our approach is common sense. So many businesses are set up to sell a product or service, however our model is set up to give back to business owners while you earn an income by helping others. We are a 100% performance-based business, we only bill for savings the client realizes. As a Blue Coast advisor you can build a professional business consulting practice with long-term residual income. Our model is a solid team approach, instead of doing everything yourself we have brought the best professionals in the country to support you and your clients. No employees, very low overhead, and everyone in our company is designated to work for our advisors. With our extensive and ongoing training, technology tools, and our incredible history of savings, from the day you begin as an advisor you will enjoy instant creditability with your clients.